One of the biggest and most crucial issue facing the African Continent is that of urbanisation. Daily people leave their rural villages lured by the prospects of a better life in the city. Yet, this does not happen and more and more cities and city dwellers are struggling under the pressures of "City Living". "Work" to provide "Food" and "Shelter" - this is the basis of survival. If there is no "work" "crime" is one of the next options. 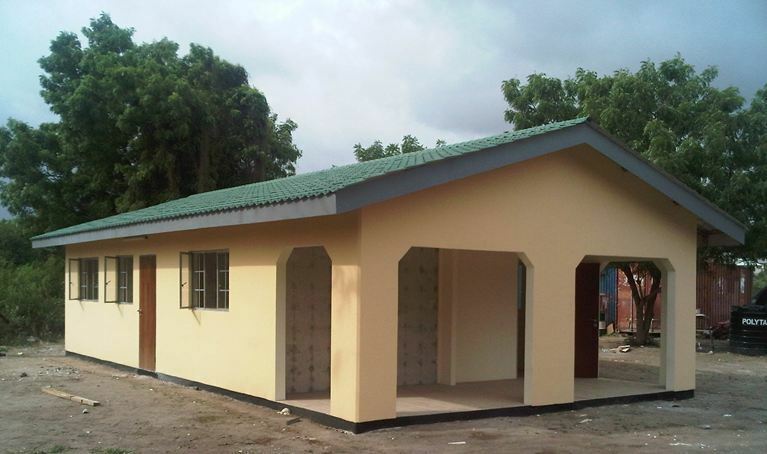 Although the extensive and many complex difficulties, relating to the delivery of affordable housing in Africa is well documented, the ever-increasing demand for housing keeps mounting and continues to be a major concern. Projections by the United Nations would indicate that 53% of Africa’s inhabitants would comprise the urban population, of which 62% of city dwellers would reside in slums or informal settlements. What’s more troubling is that it appears that the incentive to move to the cities in Africa seems to be completely independent from economic growth and development and this is not expected to ease in the foreseeable future. 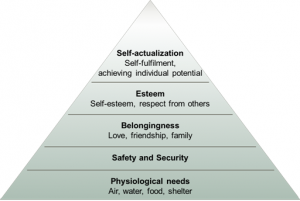 So what are basic needs at the Base of the Pyramid? The aim of moladi is to focus on “empowering people“ and to identify appropriate technical solutions in order to tackle basic needs in developing countries. But what are basic needs exactly? In 1943, Abraham Maslow presented his well-known “hierarchy of needs”. According to his theory, people need food, water, sleep and warmth the most. These are considered to be basic needs and it is only when these basic physical requirements are met that individuals can progress to the next level, that of safety and security. Once these needs are fulfilled, interpersonal needs such as love and friendship, as well as the need for self-esteem and respect from others, can gain importance. Self-fulfilment and the realization of one’s own potential represent the top of the hierarchy. What does Maslow tell us? Food, sanitation and shelter are not only mandatory preconditions for survival – they also lay the foundations for the personal development of an individual. People can only grow and develop if they don’t suffer from basic supply problems: Children in school simply cannot learn on an empty stomach and the social and economic development of communities depends on access to safe water and sanitation services. Today, the basic needs approach has become an integral part of theories about human motivation, social and economic development, particularly in the context of development in low income countries. It has become one of the major approaches to the measurement of what is believed to be an eradicable level of poverty and it also forms the centre of people-focused development strategies. The “basic needs strategy in development planning” by the ILO (1976), for instance, calls for giving priority to meeting minimum human needs, providing certain essential public services, and also stresses the importance of citizen participation in the determination and tackling of needs. Citizen participation, economic growth, globalization and technology are all intertwined in these development approaches. The definition of basic needs within the framework of “empowering people” therefore also encompasses food, water, shelter, sanitation, education and healthcare, and most importantly JOBS. 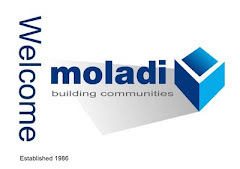 moladi views the use of technology in concert with social entrepreneurship to improve the quality of life and social structures sustainably, not only in producing SHELTER, but also FOOD. How can simple and low-cost technologies tackle the most pressing problems in the developing world and rural poor communities? 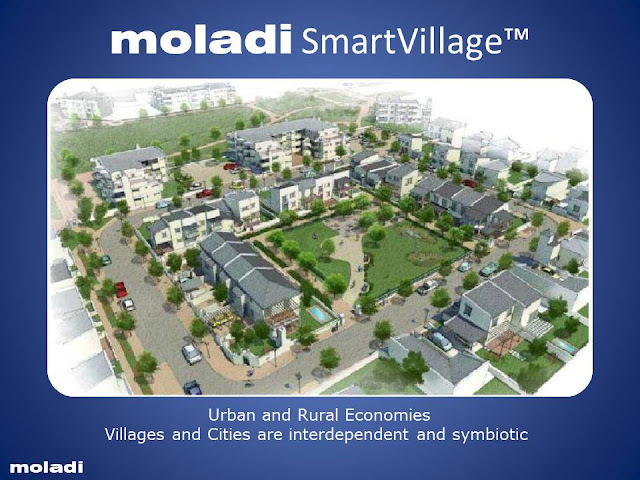 ﻿ moladi, through its rural development plan as "Rural Developer", focuses on technology as a major role player in overcoming basic supply and production problems. Some people might wonder why the “empowering people” approach focuses on low-end solutions in this context. How can simple and low-cost technologies tackle the most pressing problems in the developing world? It is a fair question, but there are good reasons why David can beat Goliath. 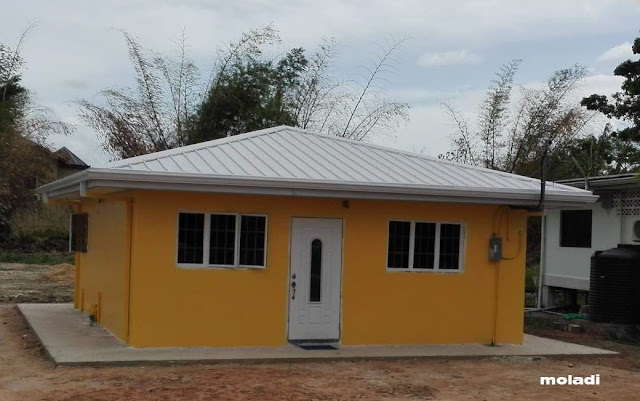 Our reports on how to bring decent housing to poor communities or how to simplify agricultural tasks by using simple and, at the same time, genius technologies, proves that small is beautiful! It was Dr Ernst Friedrich Schumacher who coined this term. The economist and philosopher wanted to stress that small-scale technologies are the ones needed in the fight against poverty. These solutions have great advantages: they can be implemented with local resources and skills and they are affordable – which makes them tools that empower people to help themselves. Frankly, it's the only way to address the issues we face, at the base. ﻿﻿﻿﻿﻿﻿Decent quality housing is one of the key factors in the fight against poverty and social exclusion. It is not just about putting a roof over someone’s head. Academic research proves that access to a clean and stable home implicates an improvement in security, health and education. 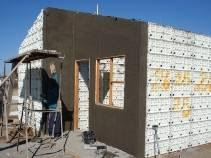 Moladi, a South African based company established in 1986, makes housing accessible to low-income people through innovative and eco-friendly technology. 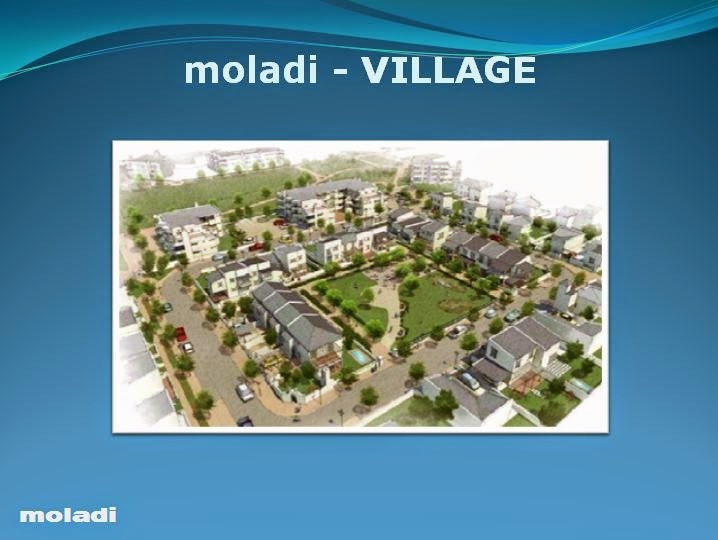 Moladi combines construction with economic development. With the motto “Train the unemployed to build for the homeless” The company offers training locally for the unemployed thereby creating jobs and empowering the community as a whole. Due to the simplicity of the approach, construction techniques and skills can be transferred in a short time. In this way, the communities benefit from affordable shelter and skilled entrepreneurs (in the area of low-cost housing) at the same time. 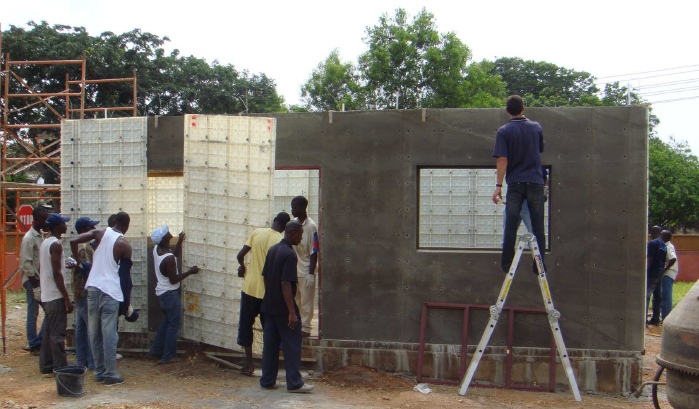 Moladi’s success in over 20 countries shows that affordable housing is an important key in finding solutions to promoting security and alleviating poverty. All of these combined "knowledge base" or "champions" allow for successful implementation in a very short time establishing and duplication self sustainable moladiVillages all over rural Africa. Food produced in these villages are then exported to the cities guaranteeing food security and sustainable development.